Geographically, Sanur Beach is less than 10 miles (15 kilometers) from the bright lights of Kuta Beach, yet in many other respects it’s a world away. 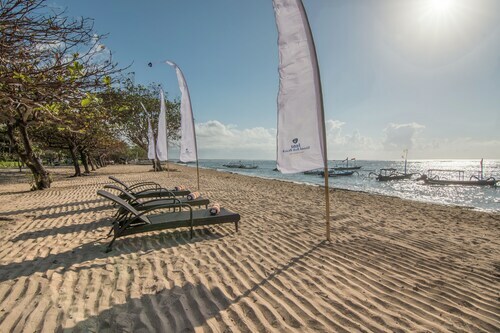 Although it’s one of Bali’s earliest resort areas, Sanur Beach and its village has managed to hold on to its relaxed, unhurried atmosphere, making it a popular destination for families and couples of all ages. 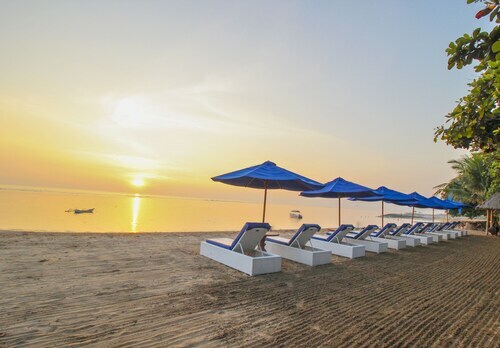 Sanur Beach is known for its beautiful sandy shore, calm blue water and stunning sunrises. Protected by a coral reef, the beach offers ideal swimming conditions for families with younger children. Take a morning walk along the 3-mile (5-kilometer) oceanfront footpath. Canoe, windsurf, fish and snorkel, or join a boat charter and sail out to the horizon. Scuba divers will love the excellent dive sites around the area, including Nusa Penida and Nusa Lembongan. Some diving companies also have programs to help children and people with disabilities discover life below the waves. Sanur village is small but has a relaxed atmosphere. It has preserved its traditional Balinese character. There are fewer crowds here, and the peace and quiet make it a relaxing base to return to at night after exploring the region. 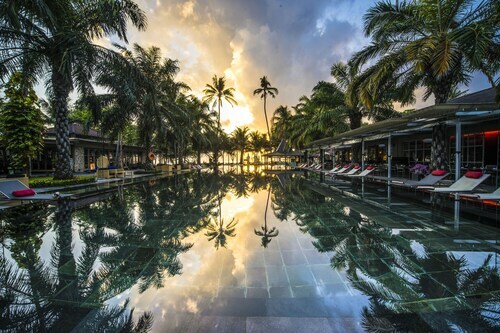 Stay in a luxury hotel or a secluded bungalow and sleep only steps away from the beach. Enjoy seafood meals at one of the many local restaurants. For some history and art, visit the Le Mayeur Museum, located right on the beach. The museum is in what was once the home of the Belgian artist Adrien Jean Le Mayeur de Merpres. He lived and painted here for some 20 years from the early 1930s. The museum is now run by the Indonesian government. For a few days in July each year, Sanur hosts the Bali International Kite Festival. This is a great time to visit the area when the sky is filled with kites of all shapes and sizes and the locals relax and have fun. A 20-minute drive from the center of Denpasar, Sanur is situated on southern Bali’s east coast. If you're after more options, have a look at our Denpasar things to do page. 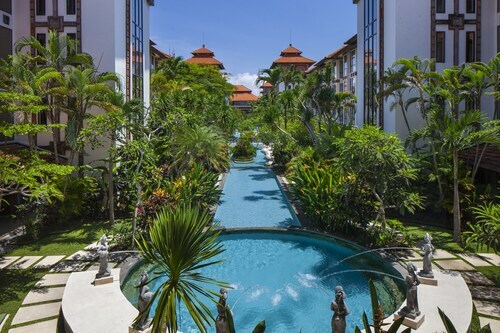 Nestled on the beach, this Denpasar hotel is just steps from Bali Beach Golf Course and Sanur Beach. Sindhu Beach and Sanur Night Market are also within 1 mi (2 km). 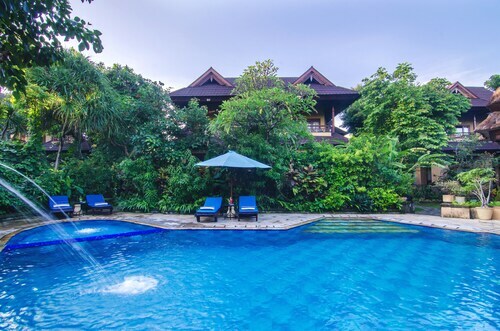 Situated in the entertainment district, this spa resort is within 1 mi (2 km) of Pantai Karang Beach and Sanur Beach. Sanur Night Market and Sindhu Beach are also within 1 mi (2 km). 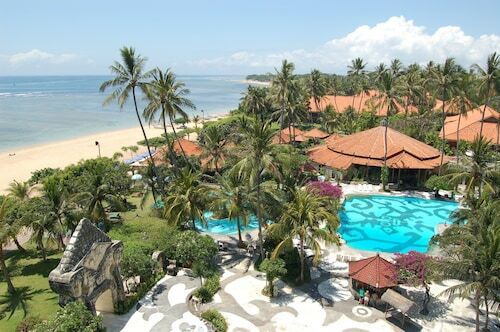 Nestled on the beach, this Denpasar hotel is within 3 mi (5 km) of Sanur Beach and Bajra Sandhi Monument. Kuta Beach and Nusa Dua Beach are also within 16 mi (25 km). This family-friendly Denpasar hotel is located near the beach, within 1 mi (2 km) of Bali Beach Golf Course and Sanur Beach. Sindhu Beach and Sanur Night Market are also within 1 mi (2 km). Nestled on the beach, this Denpasar hotel is within a 5-minute walk of Sindhu Beach and Sanur Beach. Pantai Karang Beach and Bali Beach Golf Course are also within 15 minutes. 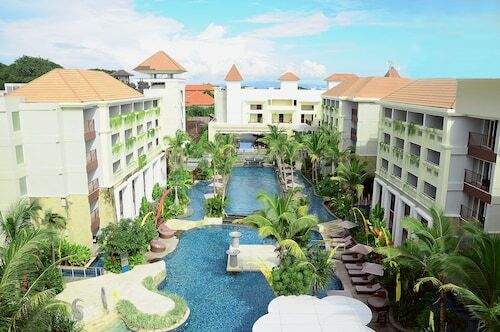 Nestled on the beach, this Denpasar hotel is within 1 mi (2 km) of Sindhu Beach and Sanur Beach. Pantai Karang Beach and Bali Beach Golf Course are also within 15 minutes. This family-friendly Denpasar resort is located near the beach, within 1 mi (2 km) of Bali Beach Golf Course and Sanur Beach. Sindhu Beach and Sanur Night Market are also within 1 mi (2 km). 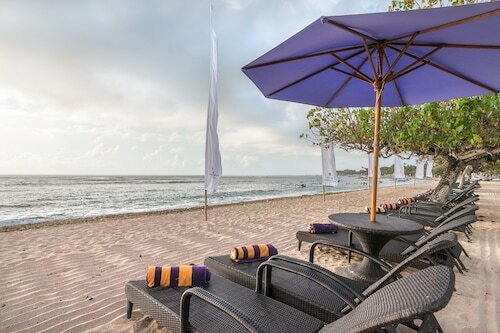 Nestled on the beach, this Denpasar hotel is within 1 mi (2 km) of Bali Beach Golf Course and Sanur Beach. Sindhu Beach and Sanur Night Market are also within 1 mi (2 km).